This four-acre park in the town of Moscow is a busy place. The picnic shelter and playground are popular with local families, and the boat ramp on the Cedar River is heavily used. The town of Moscow marks a change in the geology of the Cedar River basin. From here to the south the flood plain is wider and the river itself is wider, slower, with more of a sand/mud bottom. This stretch of the Cedar is well known for producing large flathead catfish. Going north through Moscow on X-54, turn left (west) on Cedar St. The park is at the end of the street. 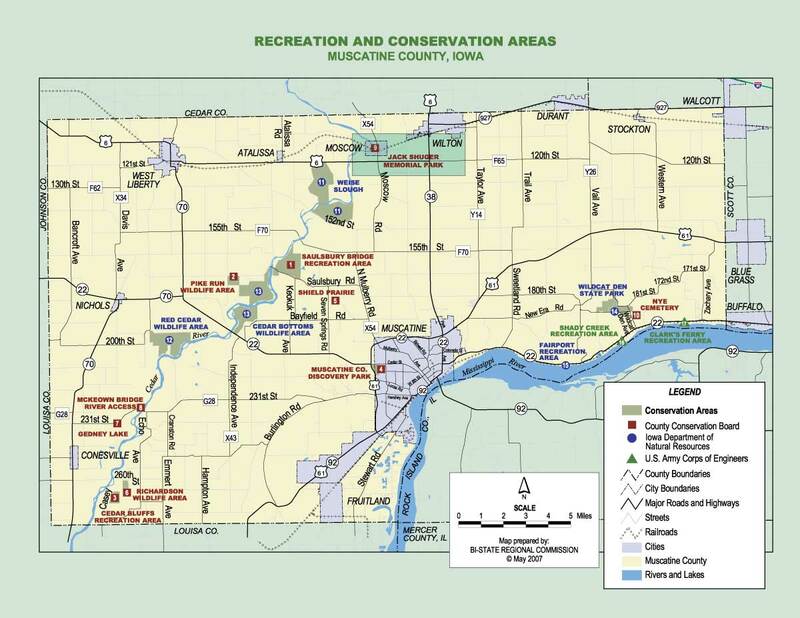 Park Map – aerial photo with trails, boundaries, etc. Disclaimer: This map does not show the correct boundaries for the Jack Shuger Memorial Park. See the Park Map for the correct boundaries.